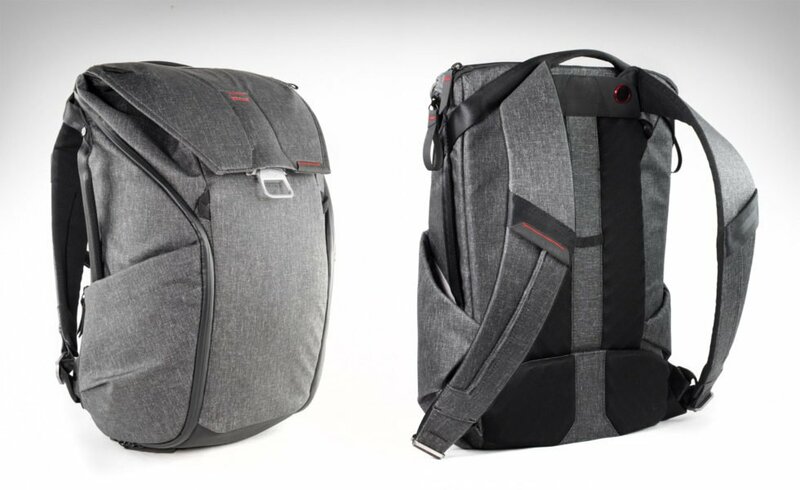 I'm amazed at the details of Peak Design's Everyday Backpack. It's just so full of them. And the astonishing thing is that nothing stands out - all seems to perfectly fit the overall design. 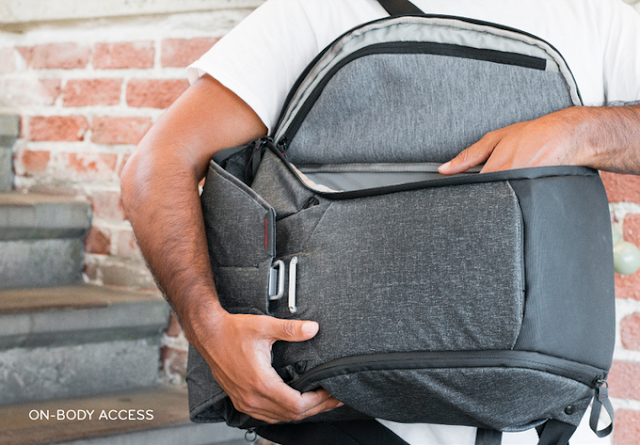 Peak Design wanted a backpack with "full access" from all sides. The frontal side is secured by "mag-latches" - magnetic and mechanical secure mechanisms allowing fast and easy access while deterring theft. There are four anchor bars for expandability. It has two zipped side hatches which you can open and access the inside of the backpack by rotating it to the front. You can use custom dividers to shelf your belongings. These flex and can be expanded creating sub-compartments. The hatches themselves conceal waterproof pockets. On the back there are three different compartments - a pocket for essentials, a tablet sleeve and a separated laptop sleeve - all hidden away by a single top zip. It come in two sizes - 20L or 30L. 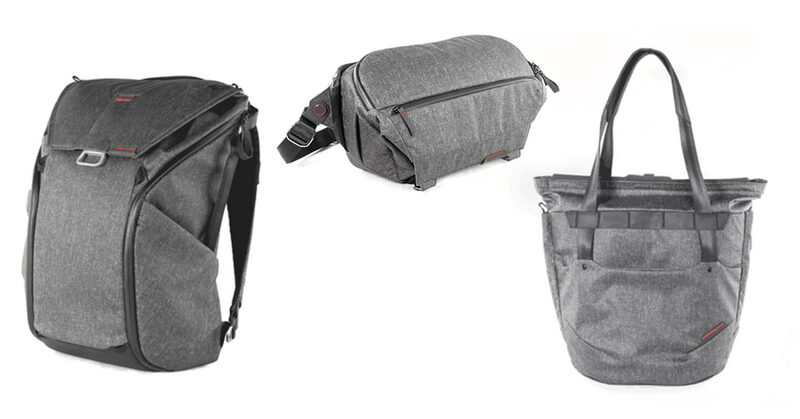 It also has concealed straps for external carry, sternum and waist straps, etc. There is so much more! Just watch the video. Those macro shots are candy to the eyes! 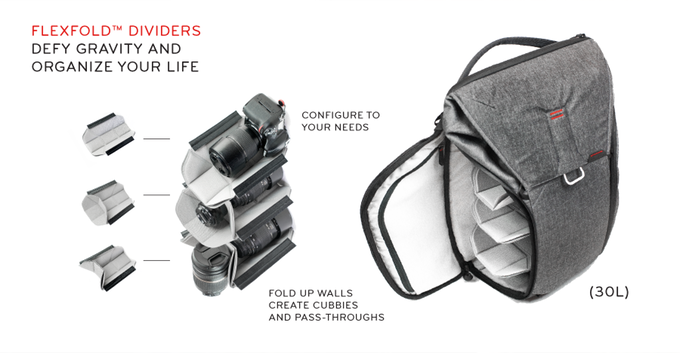 This backpack is actually part of a Kickstarter campaign containing three different bags: The Everyday Backpack, Everyday Tote and Everyday Sling. The other two also look great but it as the backpack that blew me away. Mmm good to be here in your article or post, whatever, I think I should also work hard for my own website like I see some good and updated working in your site .